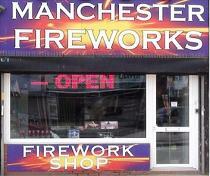 Professional e-match (electric match) igniter for igniting fireworks. 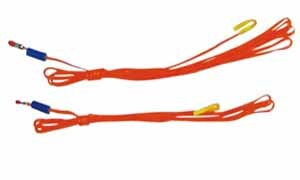 The have a high visibility orange wire, twisted pre-stripped wire ends for static electricity protection and a blue protective shroud over the e-match head. These e-match igniters contain a small quantity of pyrotechnic material. They "pop" with a flame and emitt burning debris when an electrical current is passed through them. 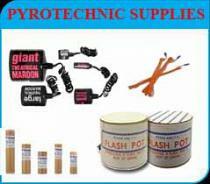 They are the same type of e-match igniter used by professional firework display companies all over the world.
? Plastic Protective Shroud: Yes.
? Pre Stripped Wires: Yes.
? All Fire Current: 0.5 Amps.